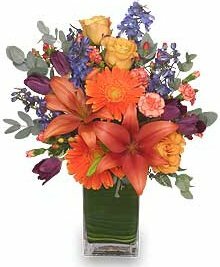 FLOWERS BY BURKHARDT'S IS LOCATED AT SHOP ADDRESS: 6318 SE VIRGINIA STREET, HILLSBORO, OR 97123. Proudly serving customers since 1882... Every day looks better with flowers from FLOWERS BY BURKHARDT'S! We are a local family owned Hillsboro, Oregon florist with a lovely variety of fresh flowers and creative gift ideas to suit any style or budget. 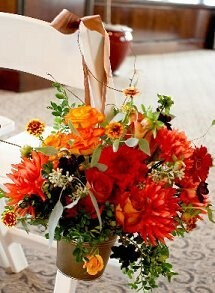 Our owner/designer has over 30 years of floral design experience. We hope you enjoy your online shopping experience with secure 24-hour ordering right at your fingertips. If preferred, you may call us to place orders direct at 503-645-6492 or 1-800-376-6492. It is our pleasure to assist you with any local, as well as worldwide deliveries. Corporate accounts are welcome. For your convenience, we offer daily floral delivery to all zip codes in the greater Portland Oregon area, Hillsboro, North Plains, Forest Grove, cornelius, Lake Oswego, Gresham. Tigard,Beaverton, and Alohia. Large selection of plants and unique gifts ~ Choose from our Green Plants, Blooming Plants, Dish Gardens, Fruit & Gourmet Baskets, Gift Baskets, Baby Gifts, Candy & Chocolates, Gifts, , Scented Candles, and more. Thank you for visiting our website with flowers delivered fresh from your local Hillsboro, OR florist and convenient online ordering 24 hours a day!